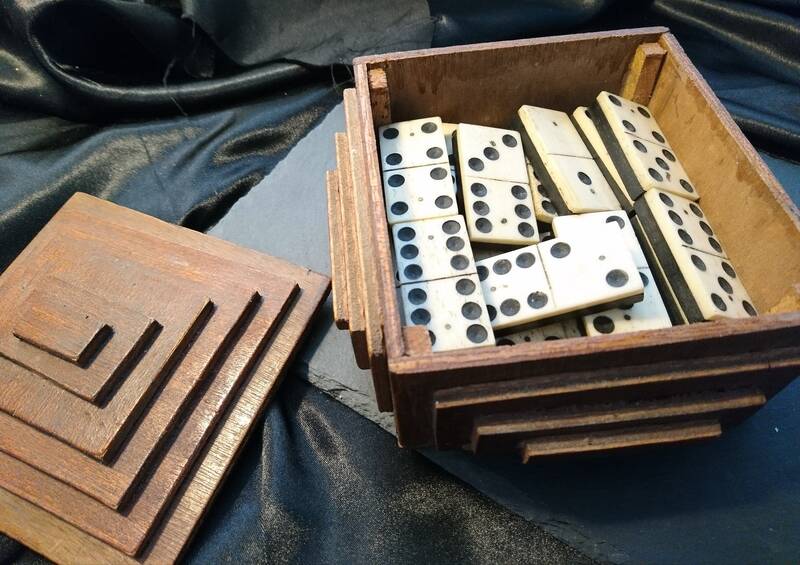 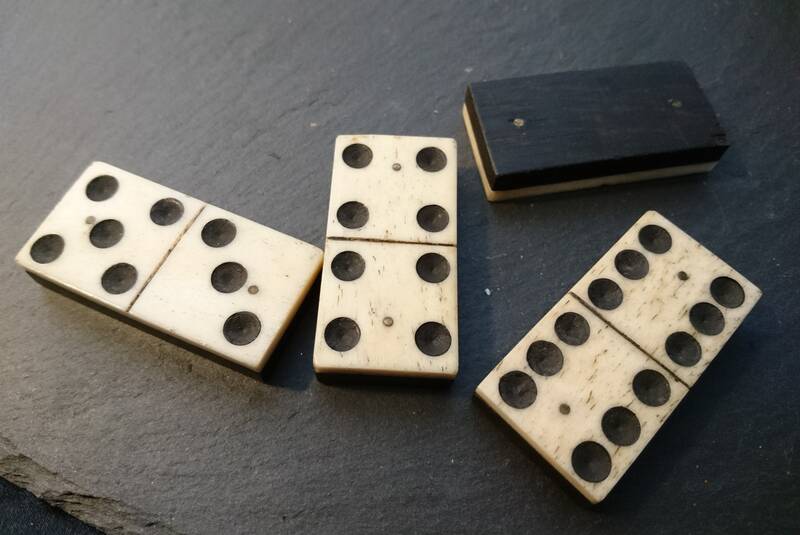 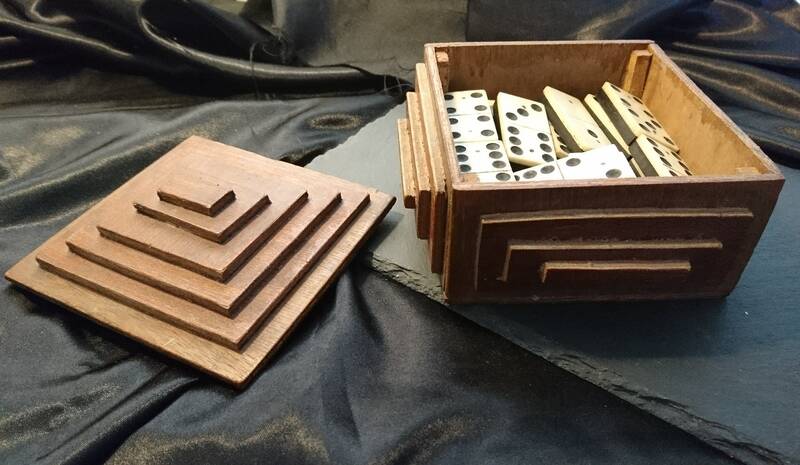 A gorgeous set of antique bovine bone and ebony dominoes, the dominoes are large and heavy with brass pins but are not spinning. 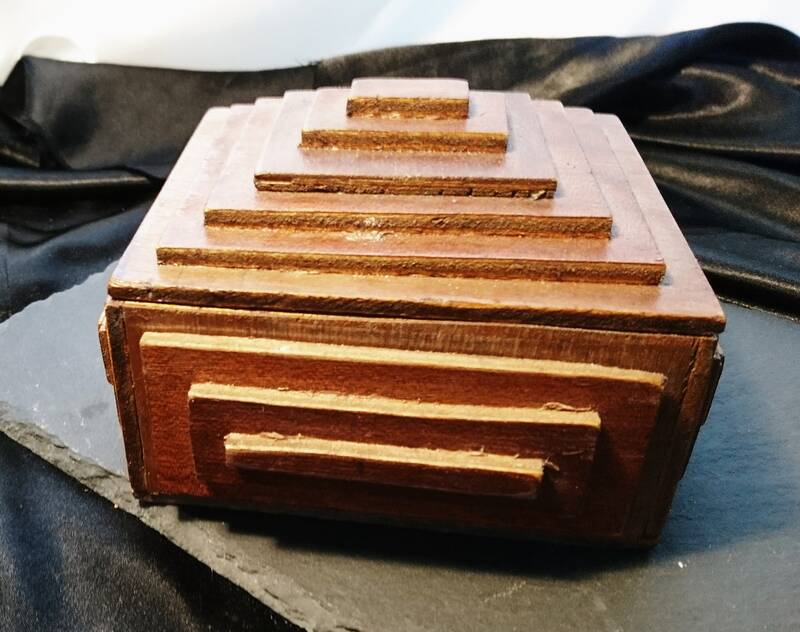 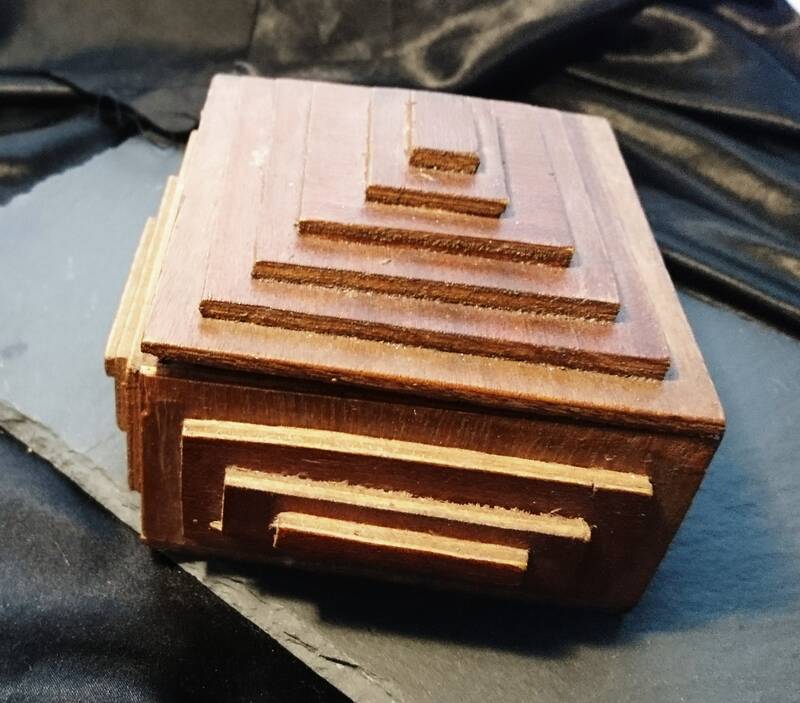 They come in the box that we got them in which in itself is a lovely piece, handmade from rustic pieces of wood in a graduated pattern, the box was later made circa 30's. 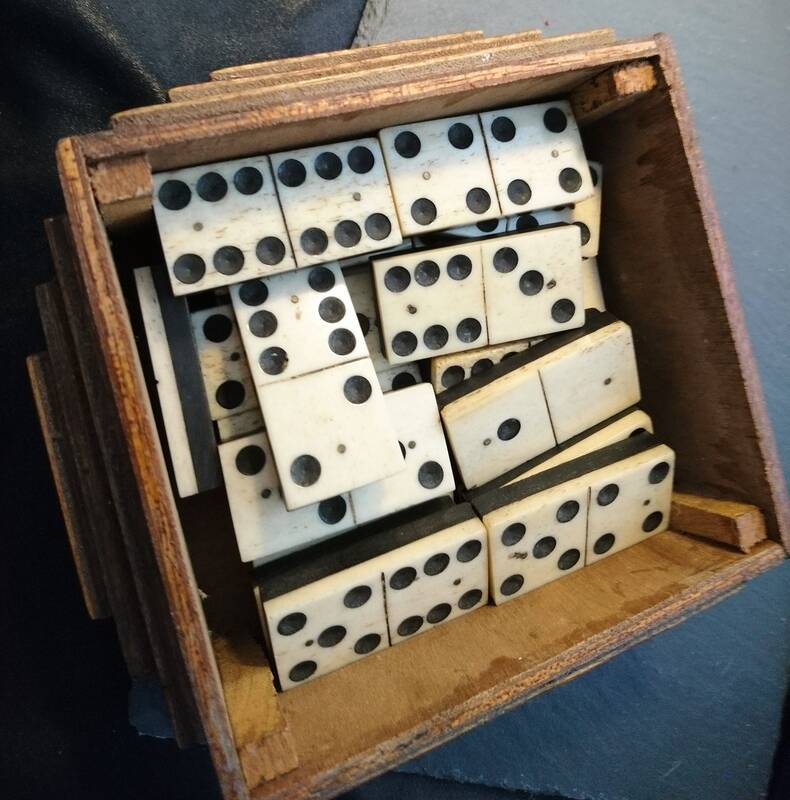 The dominoes are early Victorian c1850 they show some wear and ageing, there is one domino missing to make a full set, there are 27 in this box. 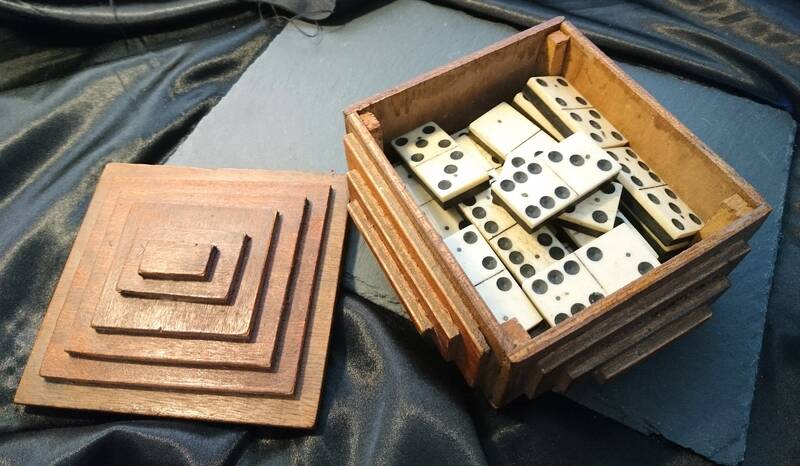 Each domino is approx 2" in length and 1" width, the box is approx 6.5" length, 5" width and 4.5" height.